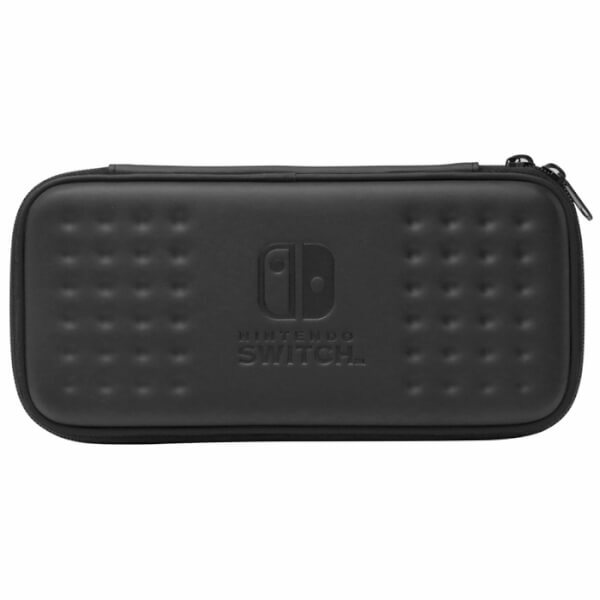 With this Nintendo Switch Hard Pouch (Black), you can play your Nintendo Switch anytime, anywhere in style. 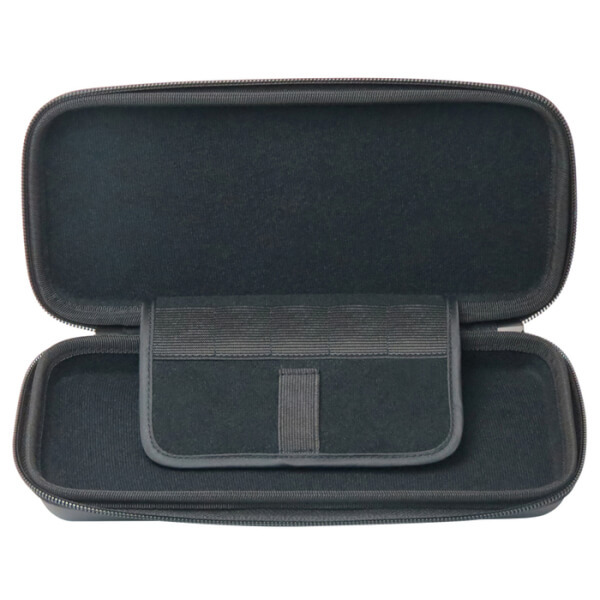 This black case features the Nintendo Switch logo with a dimpled effect finish, and provides storage for your Nintendo Switch console and four game cards. Protects well, the way I wish my own fragile ego could be. It's made nice, what I didn't like was that the switch consol wasn't a snug fit, it kinda rattles about in there. 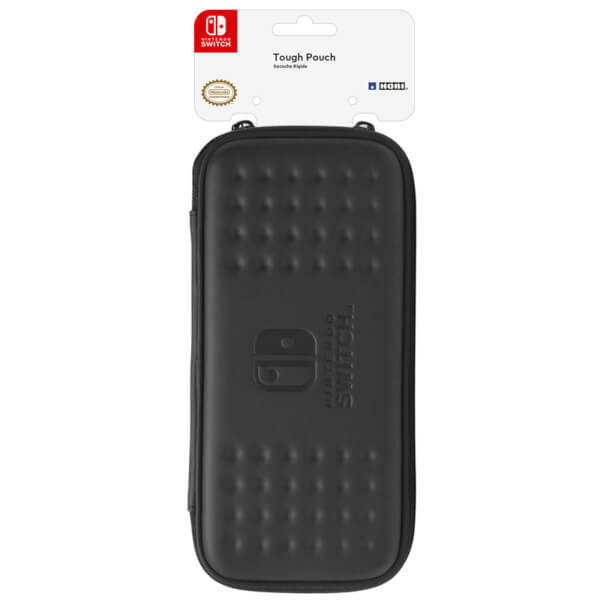 Very happy with this case it keeps my switch from being scratched, the case has a little wallet for holding games which also doubles as a mini cover for the switch screen. A bit bulky, but much better than others I've found on market for a higher price, made to transport everything including dock and cables, which is arbitrary considering the Switch's ability to 'get up and go'.